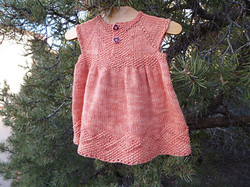 Rosencourt - ﻿﻿Yarn used:﻿﻿ Ripples - (50% Cultivated silk/ 50% Bamboo - sport weight - 150 yards/skein). 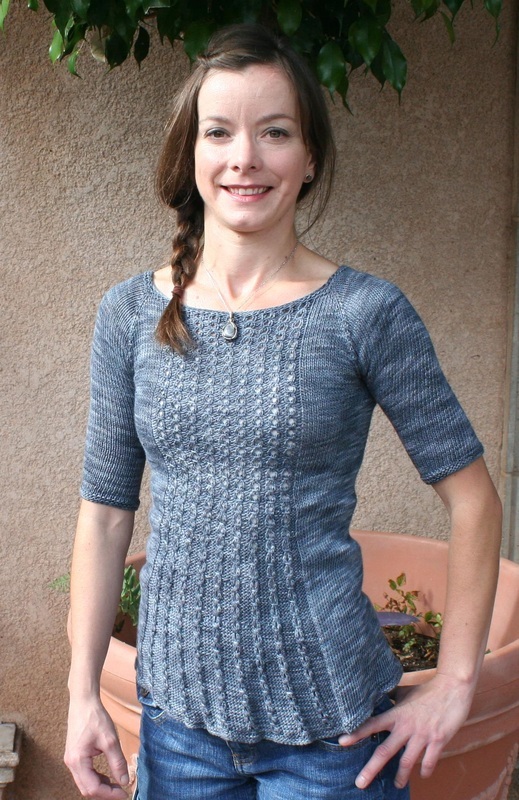 Marian is a feminine pullover sweater, with a matching front and back panels. 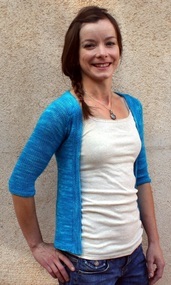 All Year Cardigan is a classic, timeless open front cardigan. 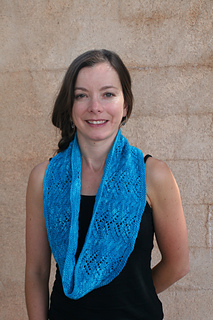 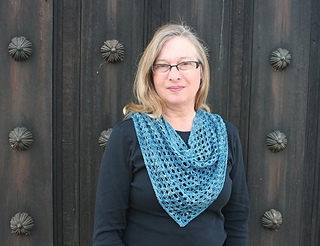 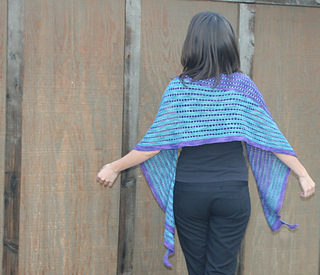 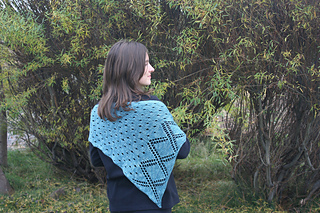 "Bisbee has a lovely mix of a simple cable and lace. 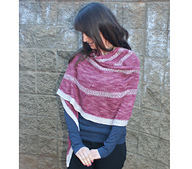 The length and width can be easily adjusted. 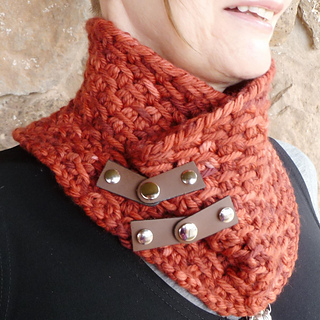 "Red Rock Cowl is super-fast to make, and knit entirely in the round.